Really needed this today 🙂 thank you. Very inspirational today – I am starting a bible study on Mary and Martha next week 🙂 My “good thing” that’s been distracting me this week is sleep – God has been waking me up to spend time with him – that’s the best thing of course! Thank you for also linking up at #TellHisStory. Love your heart! Thanks for visiting! I thought I had already included the pingback, but apparently not. Haha 🙂 It’s there now, though. I am new to the world of blogging, so I’m still learning how wordpress works, etc. Next on my list is how to include a button!! Yes, I have definitely been there lately. He has called me to pull back from the busy to be with him. Glad to visit you today. Visiting from The Better Mom. Yeah! It’s really simple but good! Makes you want to seek God even more. 🙂 I would definitely recommend reading it! God has been drumming this home to me lately. 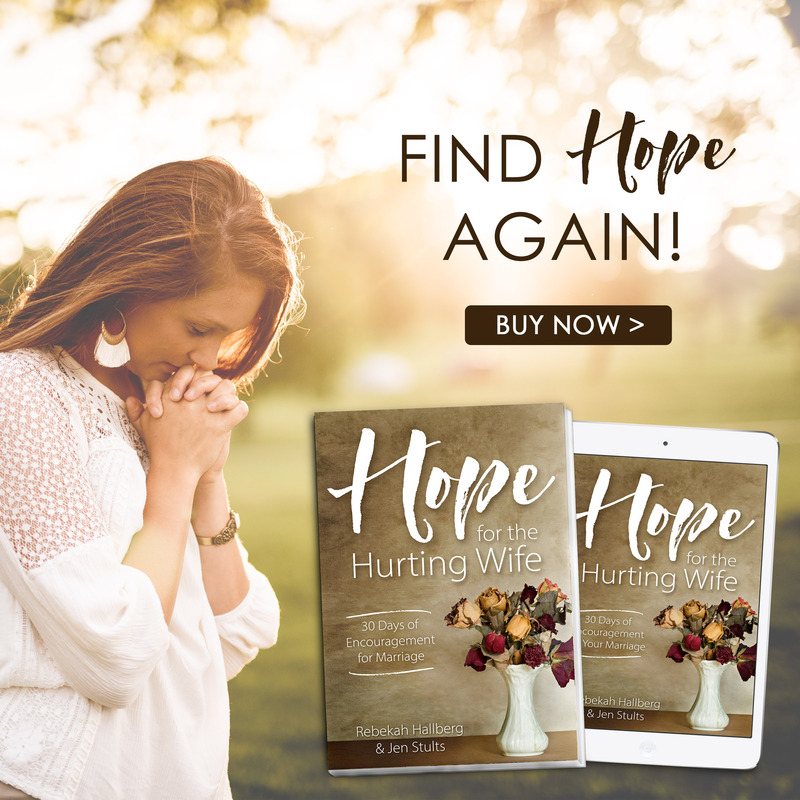 I have been reading “Having A Mary Heart In A Martha World,” today my husband’s sermon touched on this same topic about filling up our lives with “busy” and things and activities so that we squeeze Him out, and now reading YOUR blog! Guess He’s trying to tell me something, lol! Thanks for linking up to “Making Your Home Sing Monday!” The new linky is live and ready for your posts! Haha – God is relentless when He wants us to hear Him, isn’t He? And it’s a good thing, too, because I often fail to hear the first time. 🙂 Thanks for visiting, and I’ll be sure to link up again this week. This article inspired me to prepare and preach the message I shared this past Sunday at our church in Nairobi, Kenya (www.LIFE.or.ke). I was personally very encouraged to act on it as well as encourage others with it. I also want to let you know that I used the article title as part of my message title. Thank you and God bless you. I’m so thankful that you found encouragement in the words God gave, and that you were able to share with others, as well. 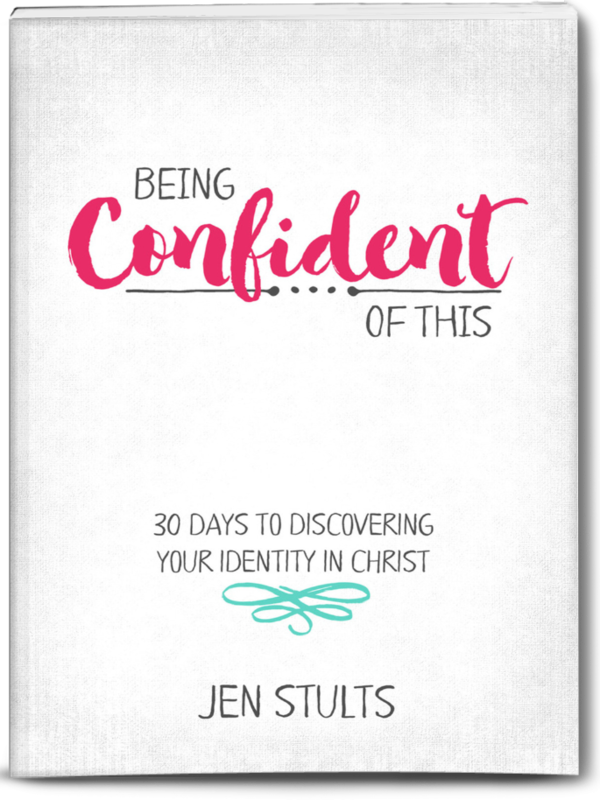 It’s very encouraging to me to see how God uses this blog! Thanks for letting me know! 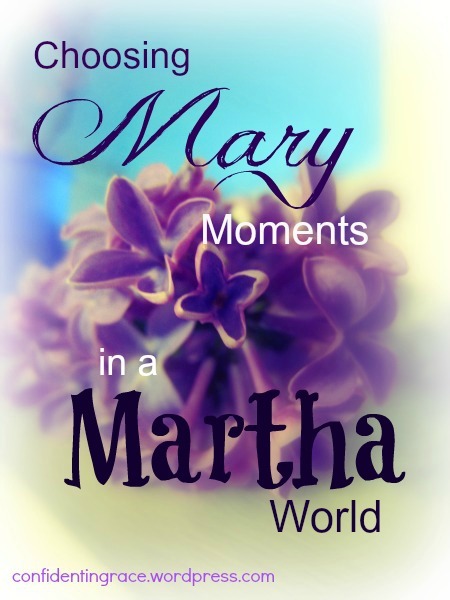 “Choose to make time for a Mary moment in spite of your Martha world!” Amen to that!!! It is far too easy to have good things distract from the BEST thing! Good things like housework, cooking, exercise, time with friends, etc… they can all take from time with God. I love this post – having a Mary moment is all about prioritizing God FIRST. This is something that I seem to need reminding of often. 🙂 It is very easy to get caught up in everyday life! Thanks for stopping by. Hi Jen I am reading this 2 years later and it is very true. Thank you for sharing this. Hello, Ifeoma! 🙂 Yes, it’s always a good reminder for me, too. I think that’s one of the biggest blessings of blogging. Every time someone comments on or shares an old piece, I get a nice reminder of the lesson God was teaching me. Thank you! Really needed this today!